I love this time of year. If you have followed me long enough, you know I get very excited that my grapevines are blooming! Fresh new life, ready to bring me my grapes! I simply love watching this unfold each spring! 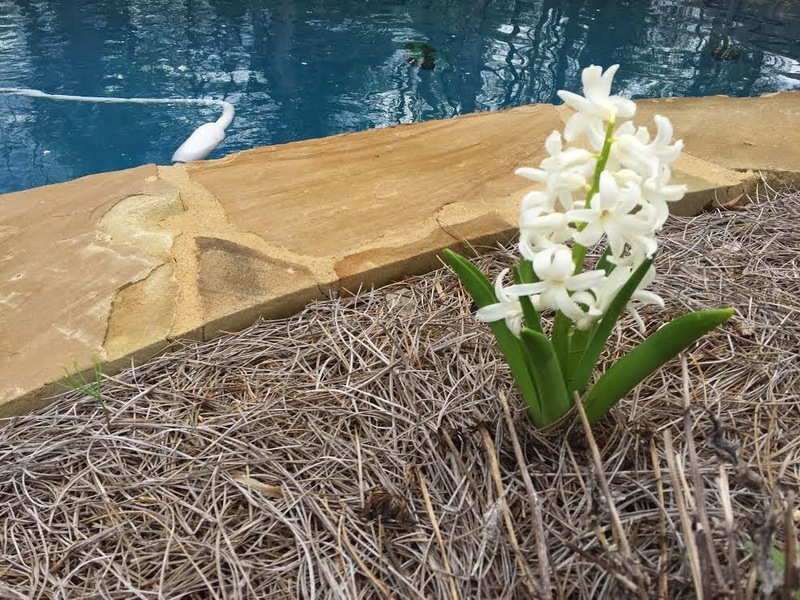 This year I planted over sixty bulbs. 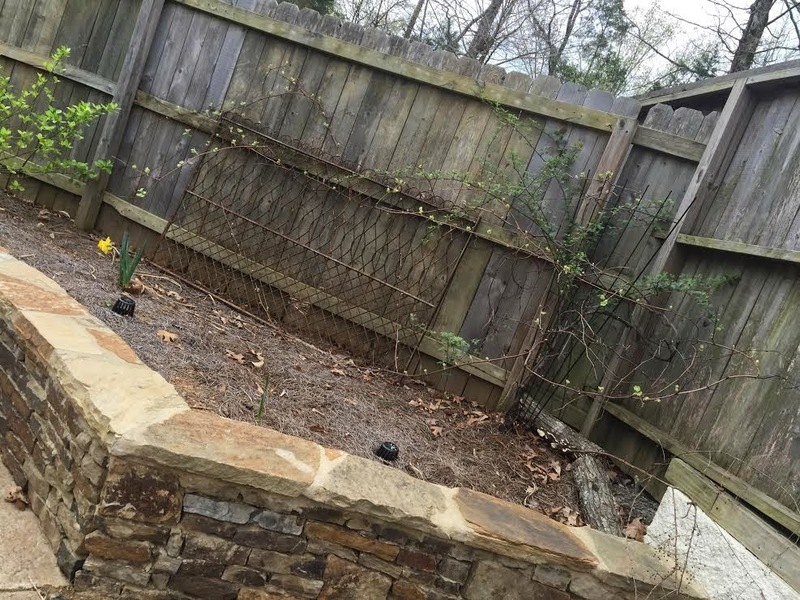 I am going to add more each year, but I wanted to see if they would grow in my clay-like soil! Voila! They are popping up all over! My bulbs are producing beautiful flowers! 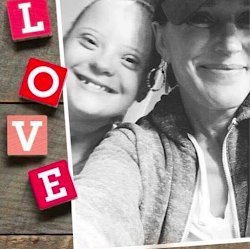 Happy happy heart! 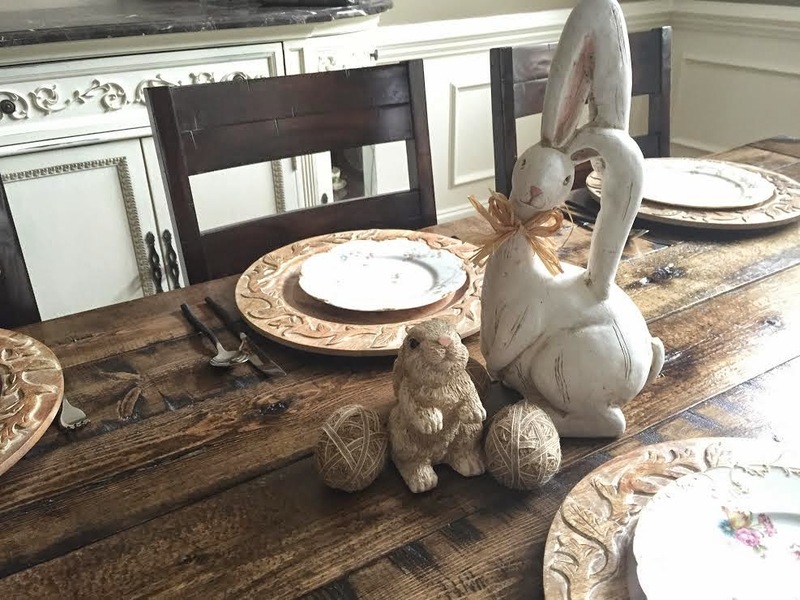 My table is set and ready for my family to come home and celebrate Easter! I love having all of my birds in one nest! I'm ready to enjoy my weekend with my favorite peeps! This photo below is of my friend Yosh! 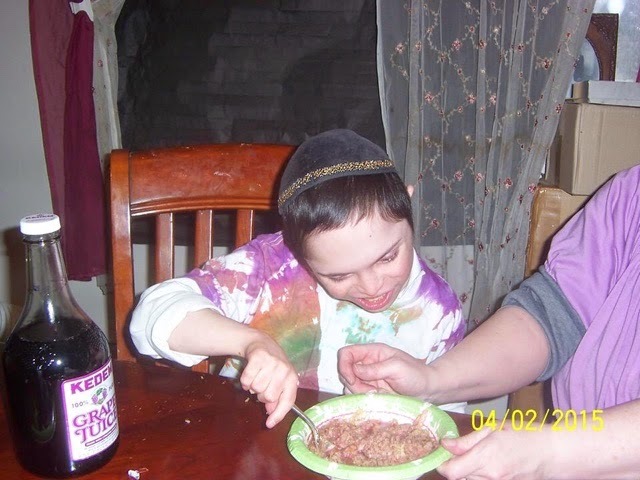 He is making Charoset for his family's Jewish Passover! I love learning about the Jewish traditions from Yosh's parents, who are dear friends and fellow advocates! 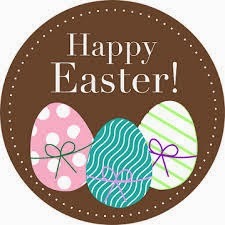 From my family to yours: Happy Easter and Happy Passover! Have a Chag Sameach! Translation: Have a Joyous Holiday! This entry was posted on Friday, April 3, 2015 and is filed under Easter,Passover. You can follow any responses to this entry through the RSS 2.0. You can leave a response. Thank you for including Yosh. We love how much attention he pays to all things Jewish. BTW the shirt Yosh is wearing is by his I Run 4 buddy Lisa Moscetlli Solem.